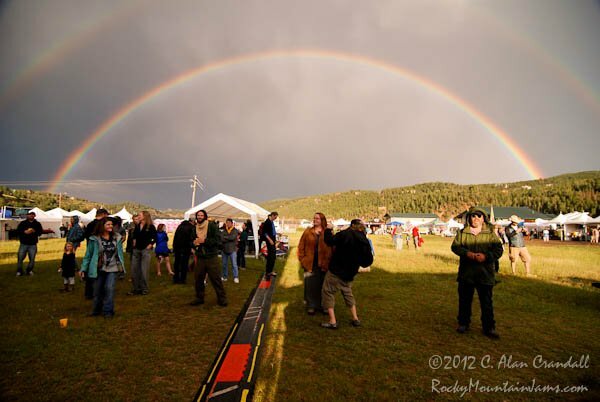 NedFest, experiencd a rainbow for the opening day of the 2013 festival. 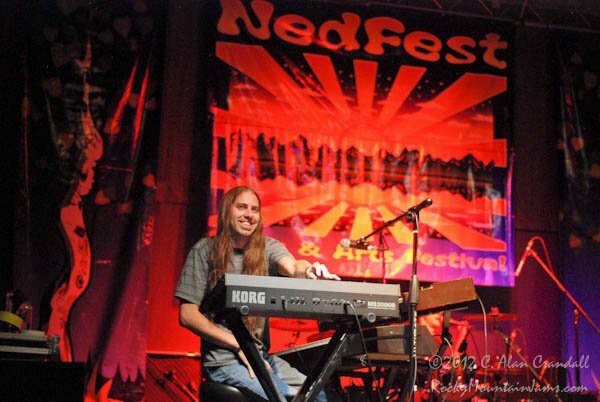 Many saw this as a sign of Michigan Mike, NedFest founder, smiling down on the festival. 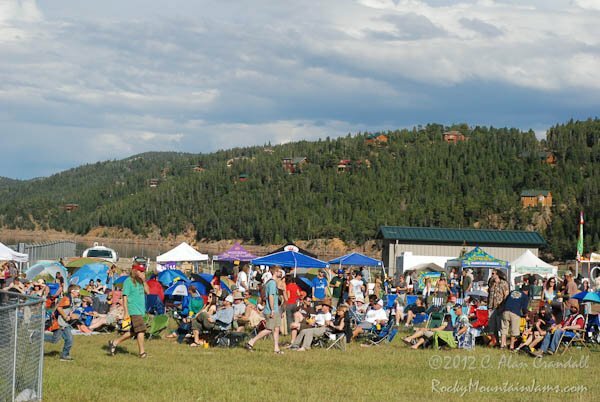 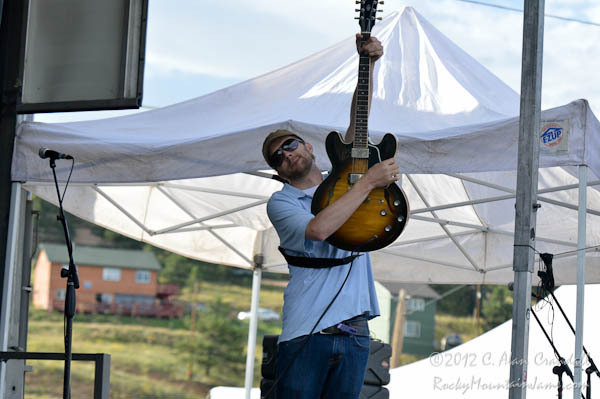 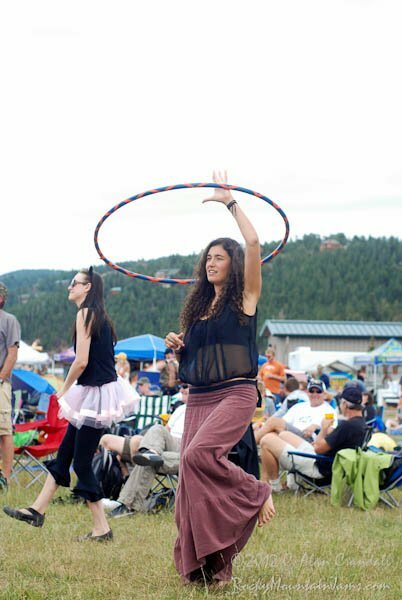 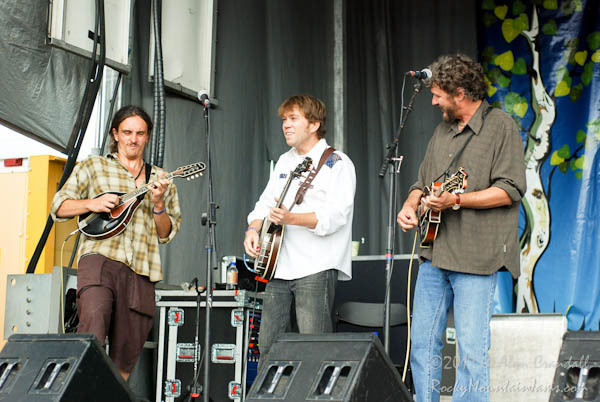 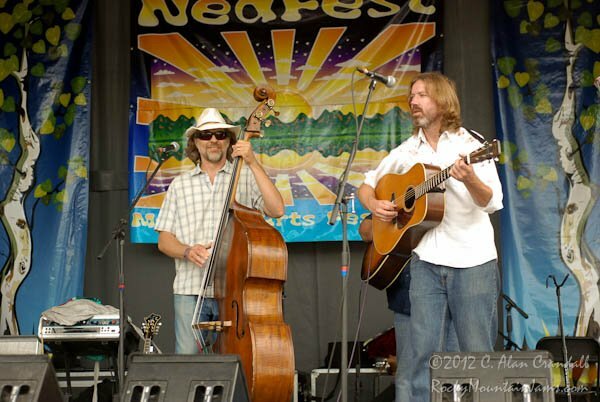 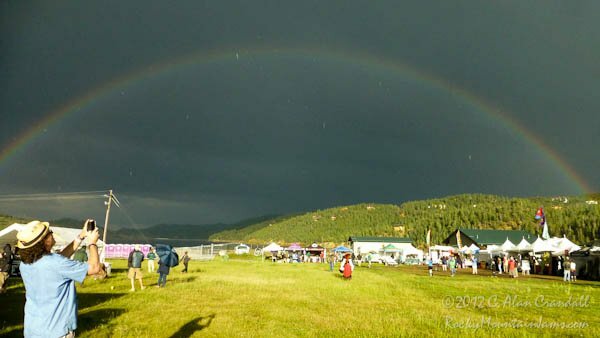 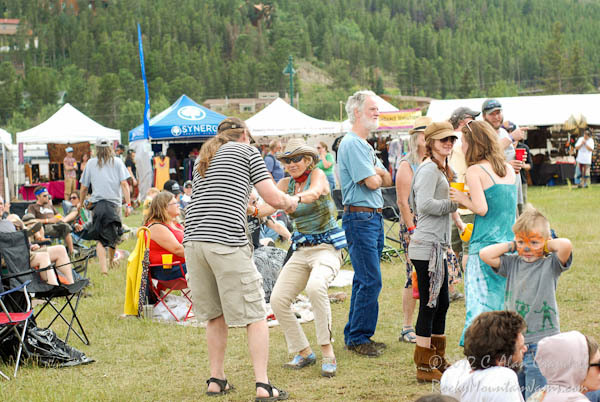 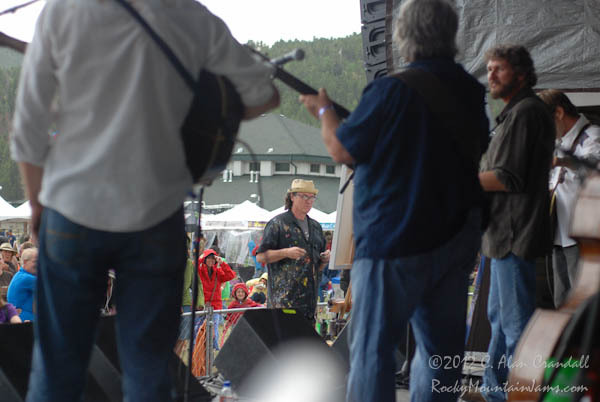 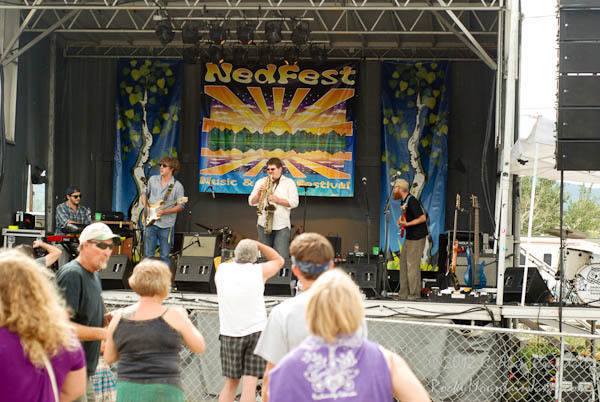 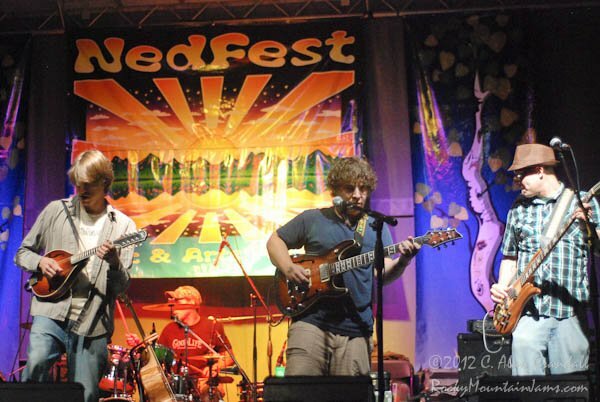 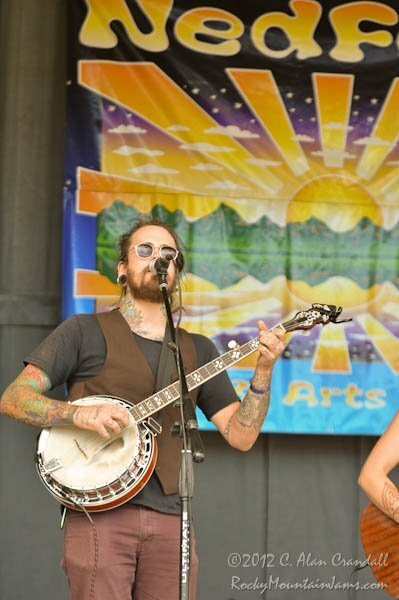 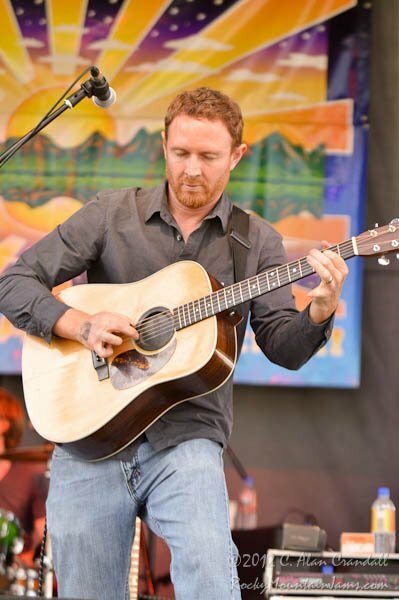 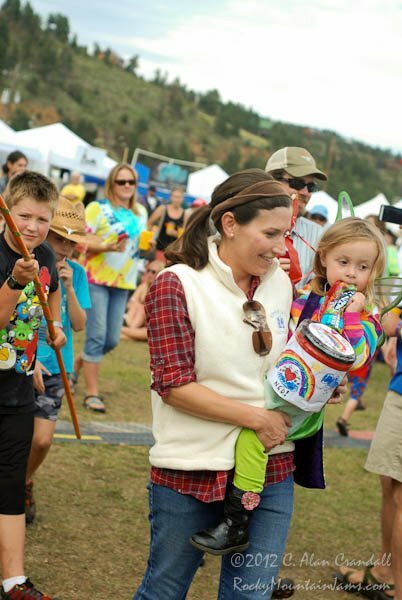 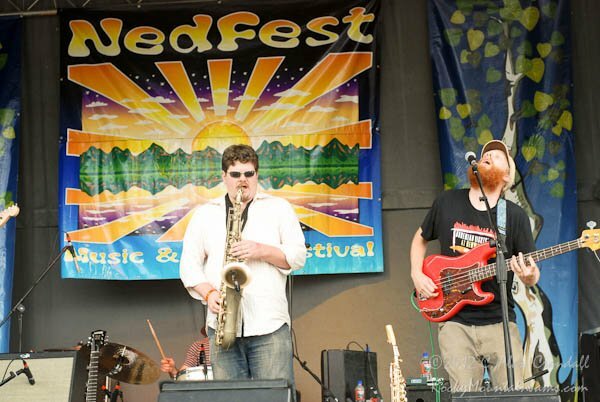 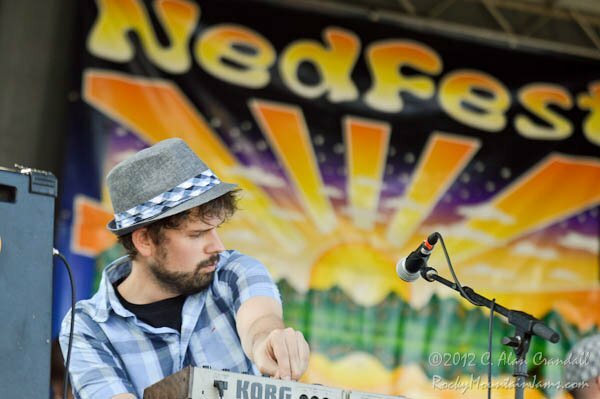 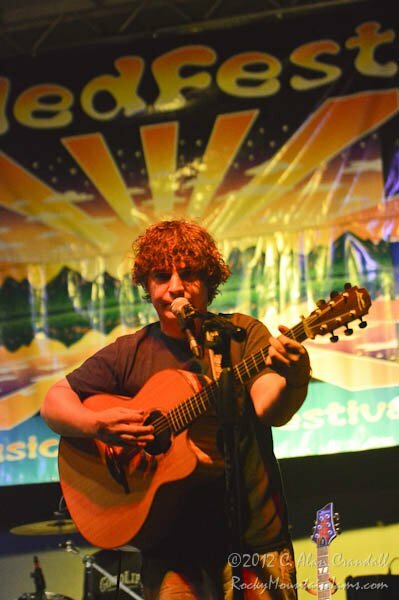 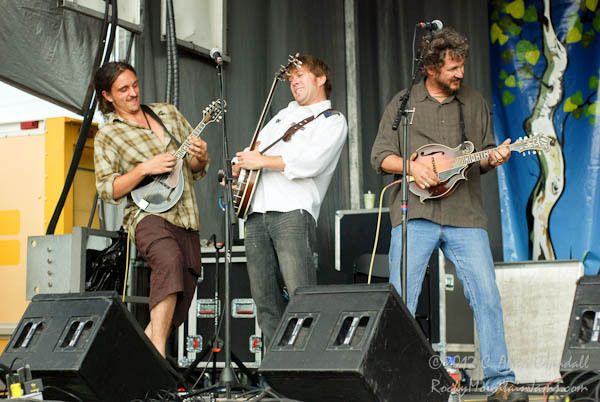 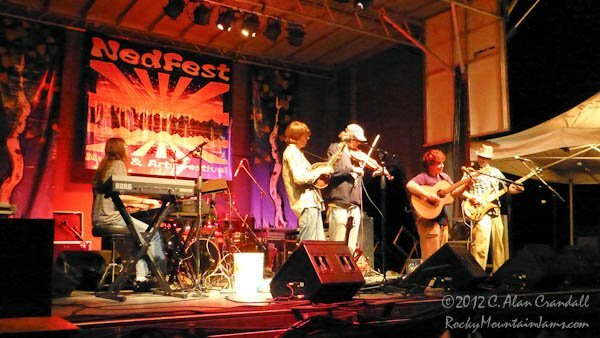 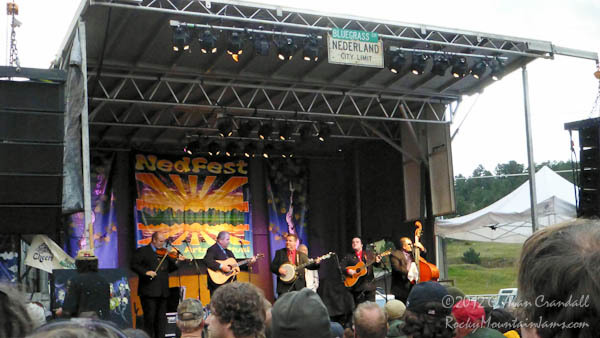 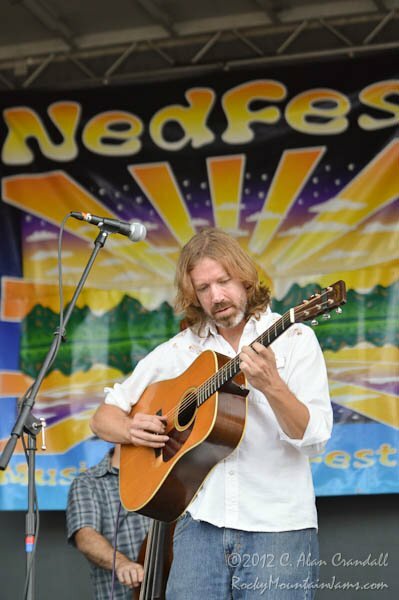 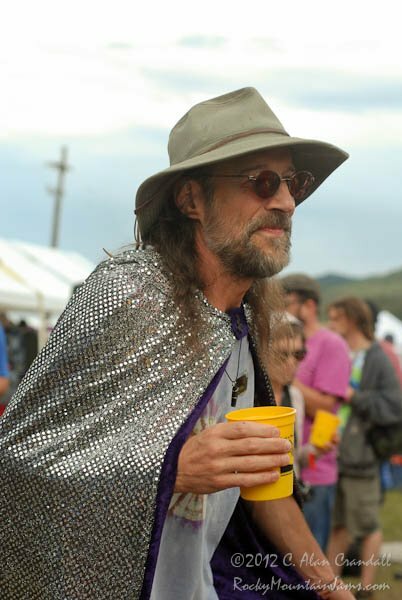 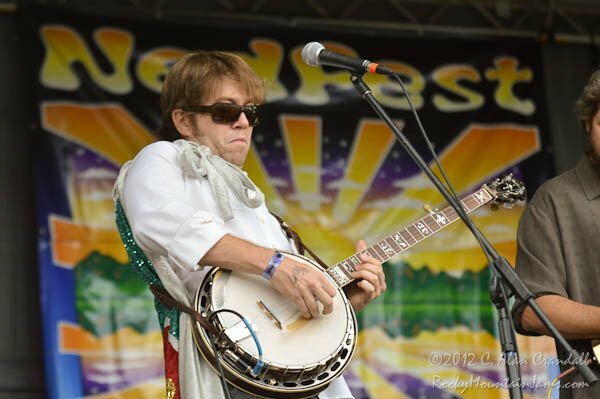 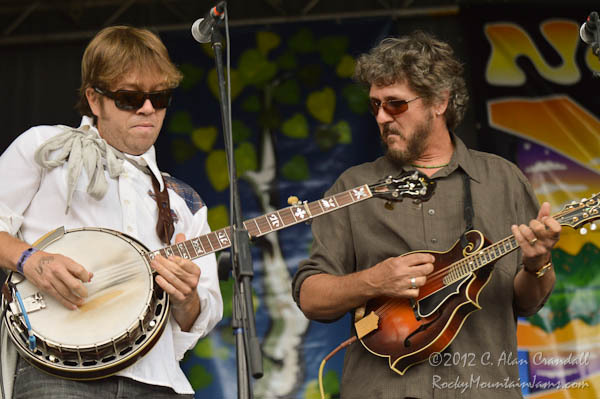 One of Colorado’s best mountain music festivals, NedFest, is set to start next Friday in Nederland. 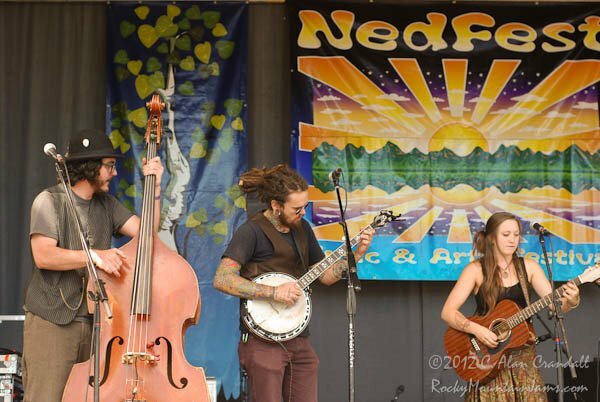 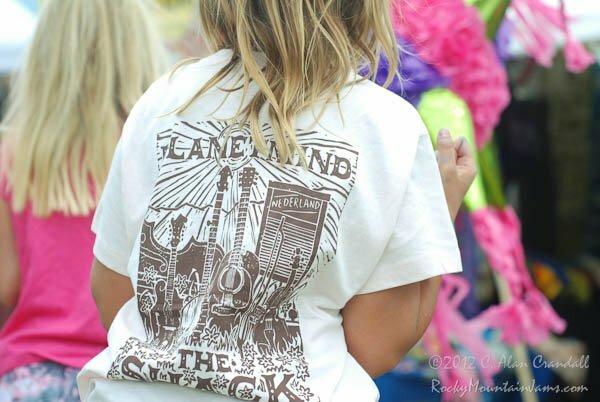 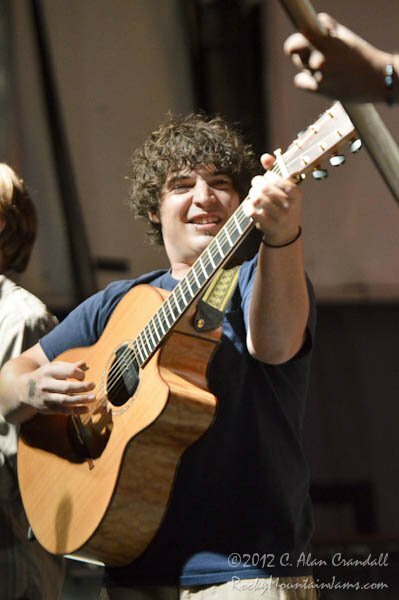 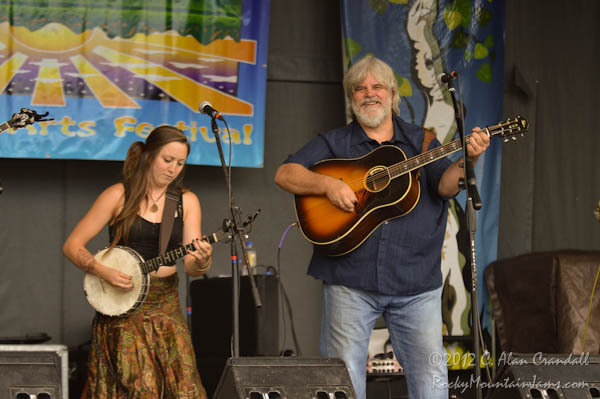 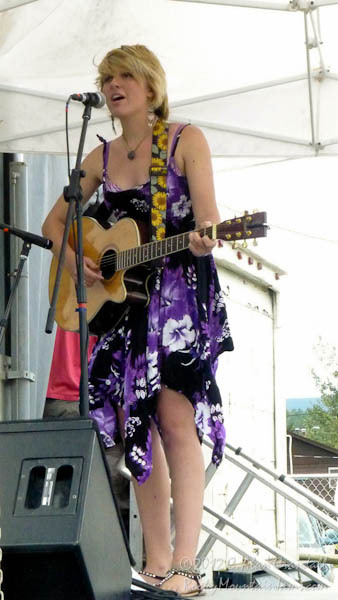 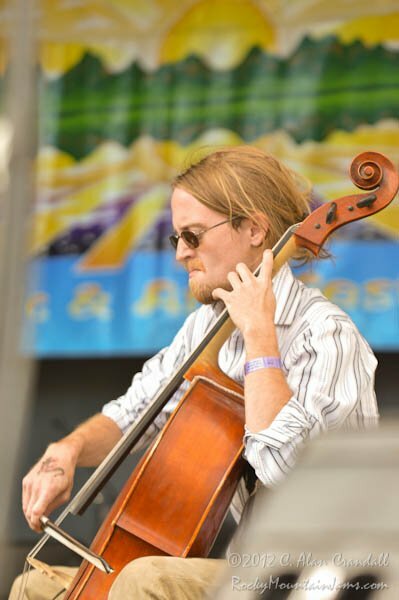 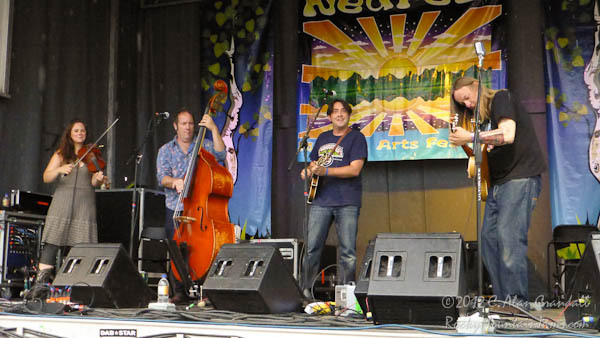 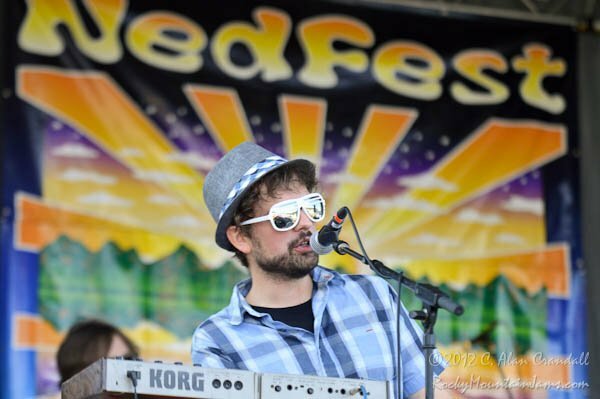 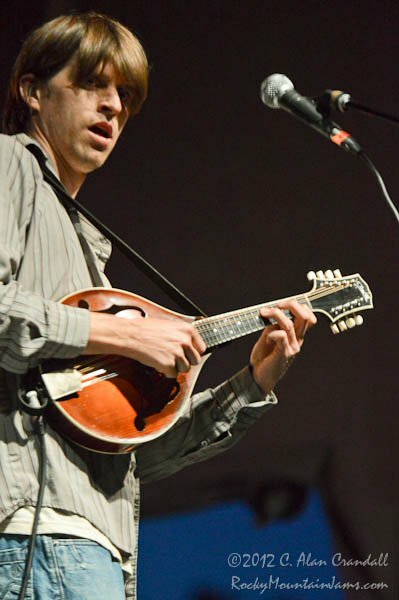 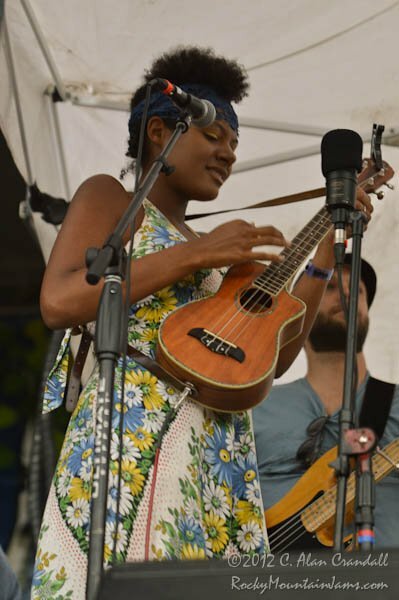 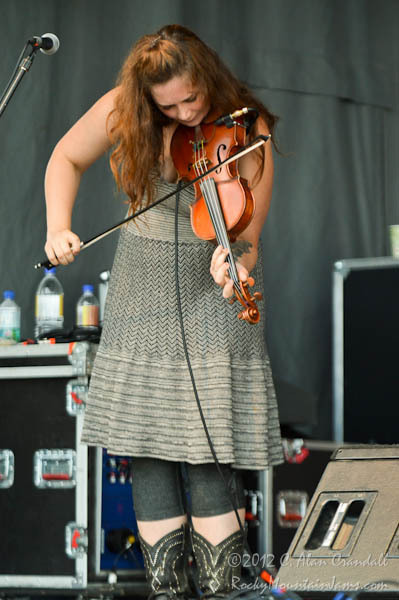 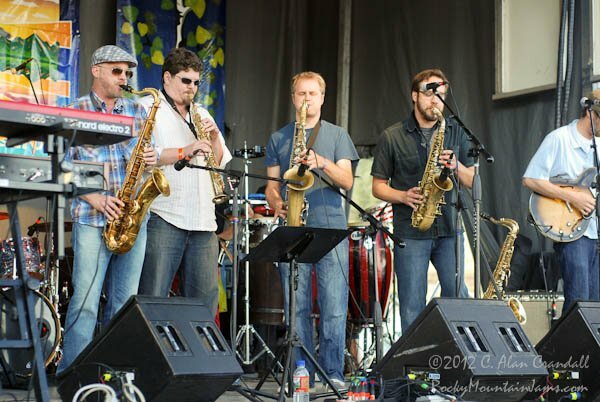 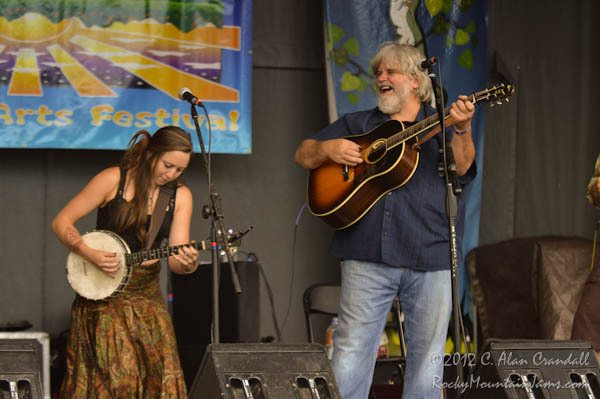 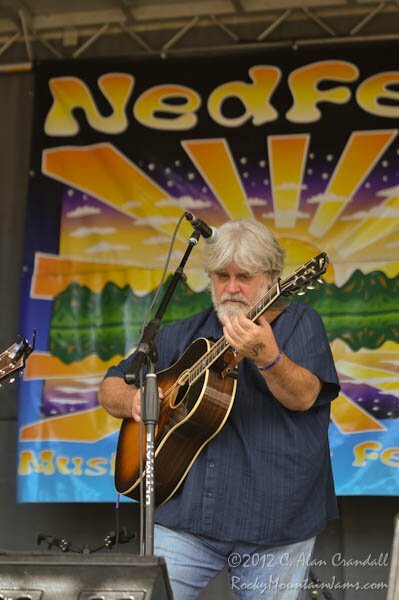 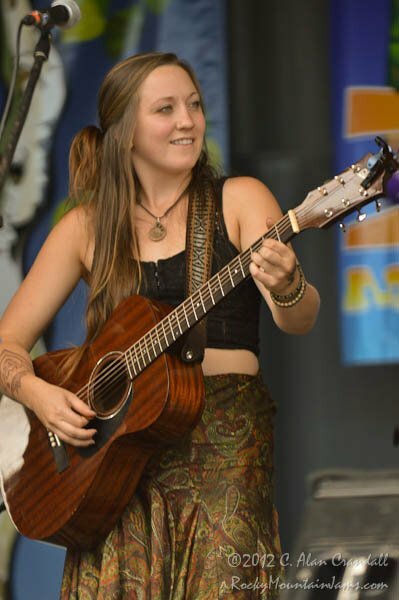 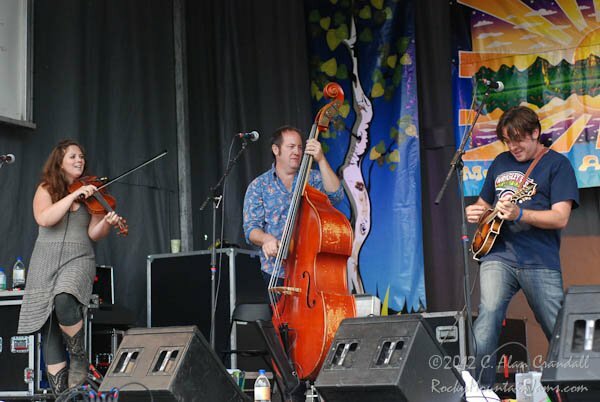 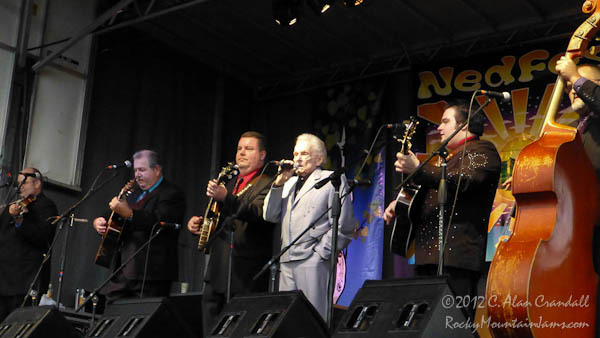 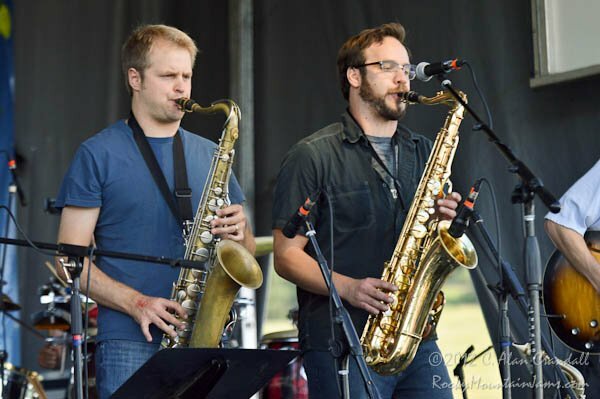 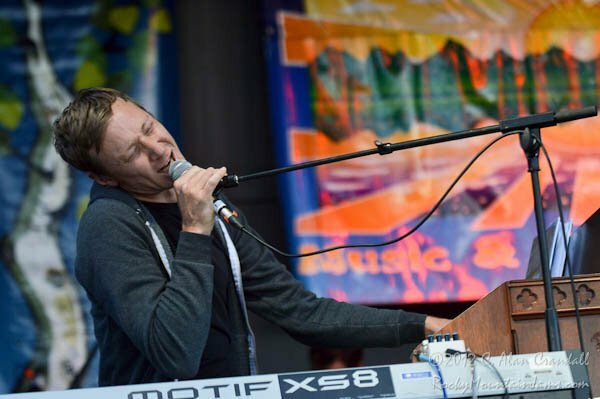 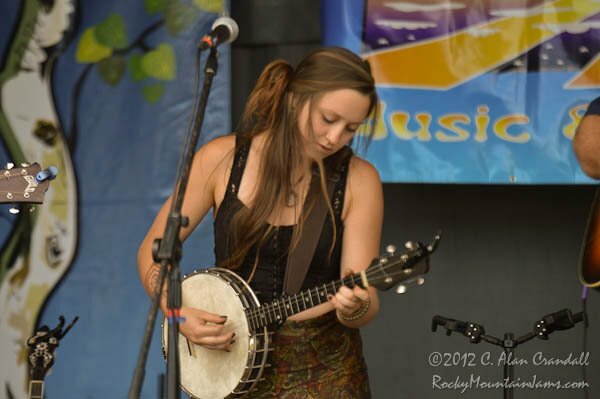 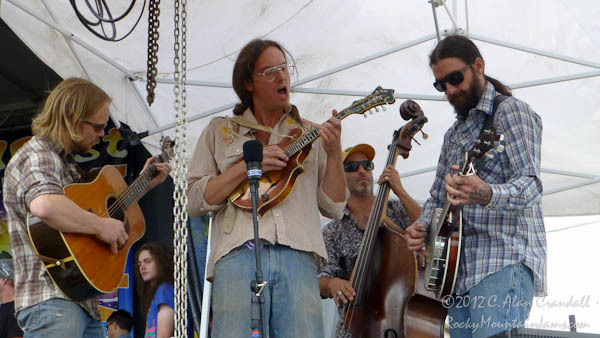 Now in it’s 16th year NedFest always offers a family friendly time with sometimes magical combinations of musicians you will not find outside of a music music festival or once upon a time in Vince Herman’s living room. 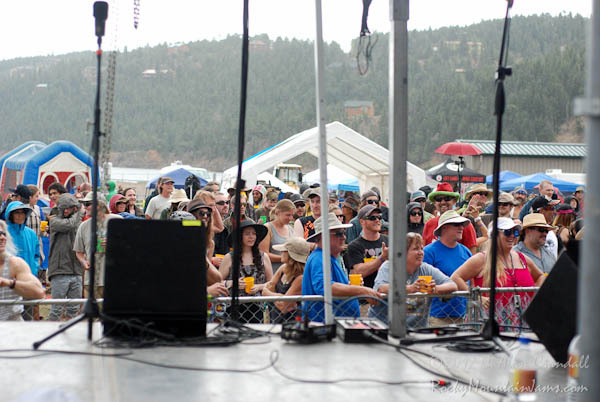 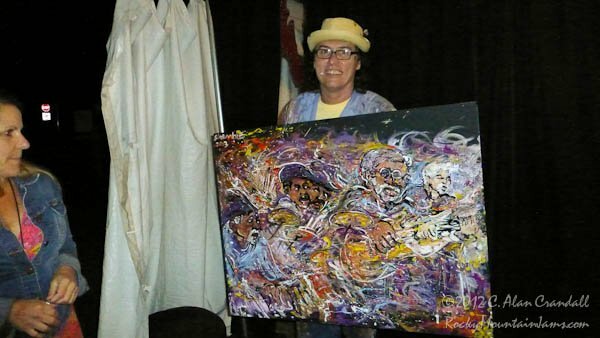 Past years lineups have read like the who’s who of the Colorado music scene. 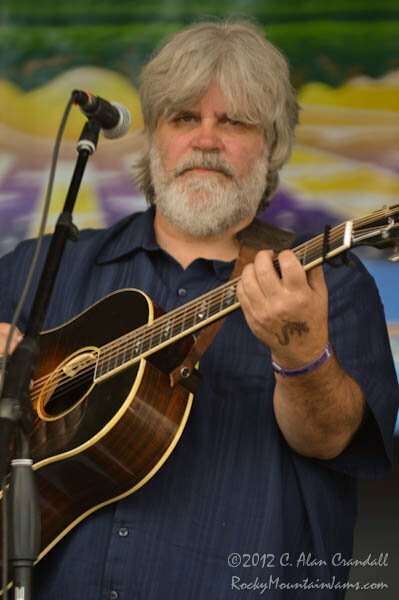 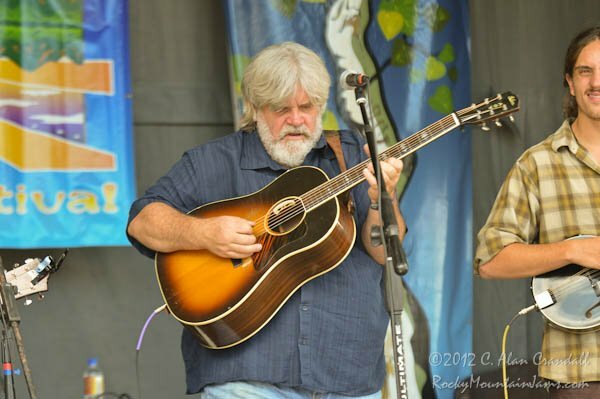 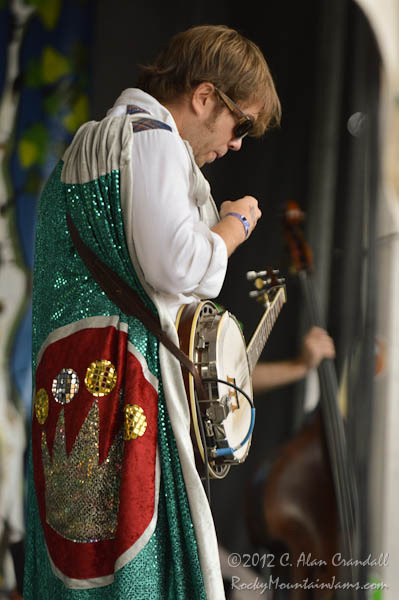 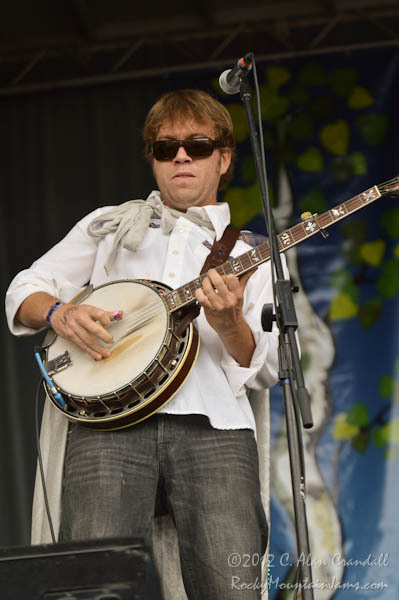 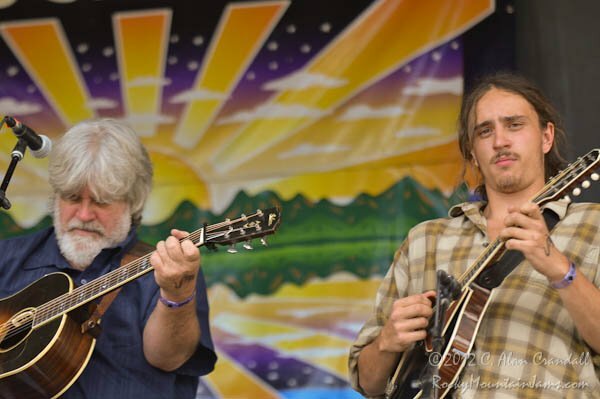 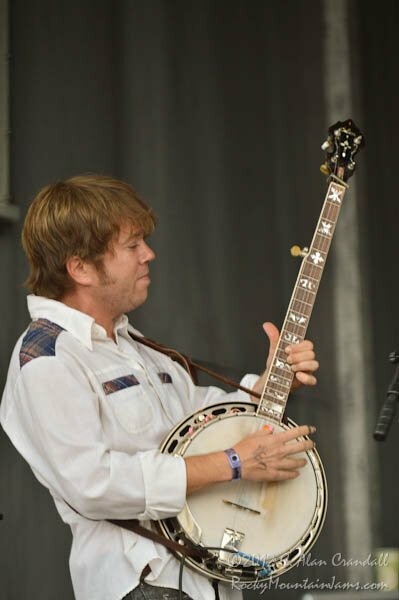 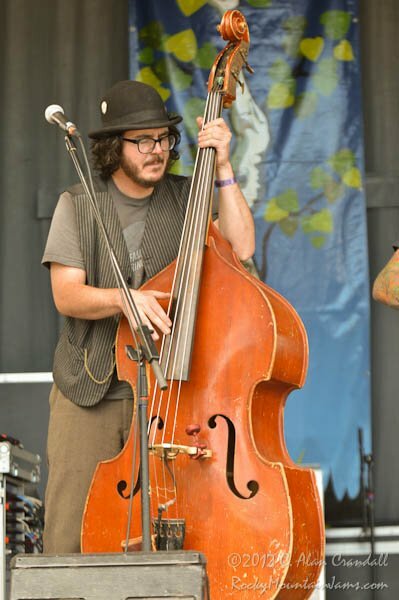 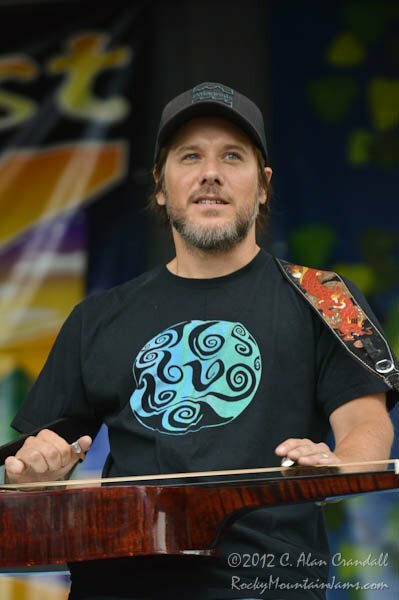 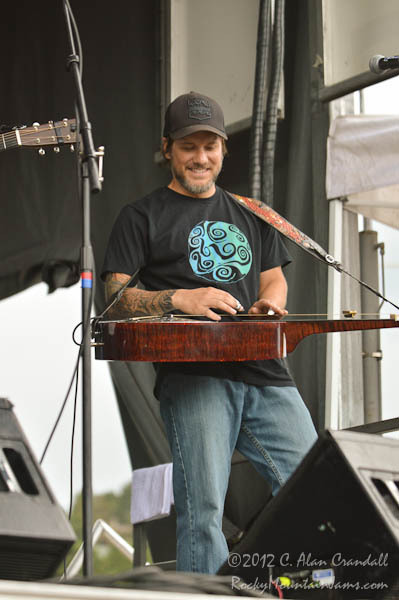 This year is no exception featuring musicians like Bill Nershi, Keith Moseley and Kyle Hollingsworth of the String Cheese Incident, Tyler Grant with Grant Farm, Leftover Salmon’s Drew Emmitt and Jeff Austin with his new band featuring Danny Barnes, Eric Thorin and Ross Martin. 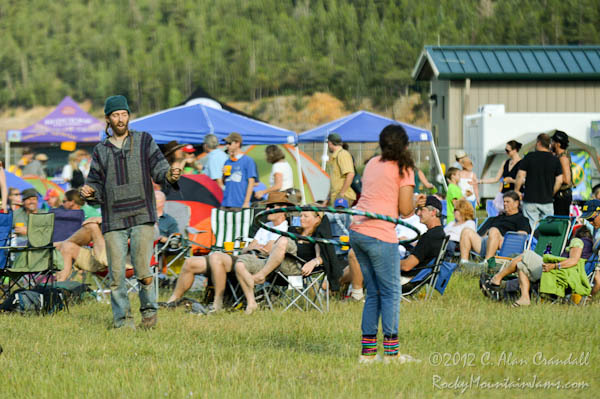 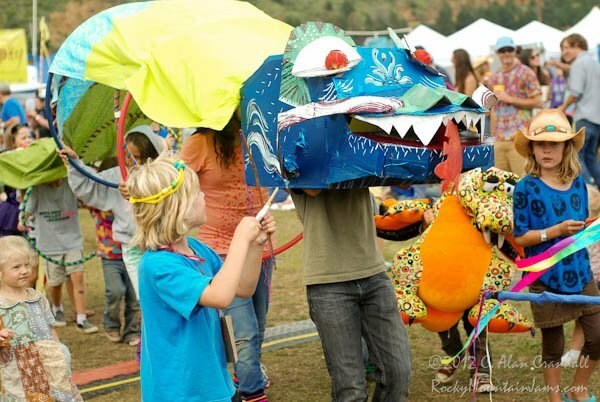 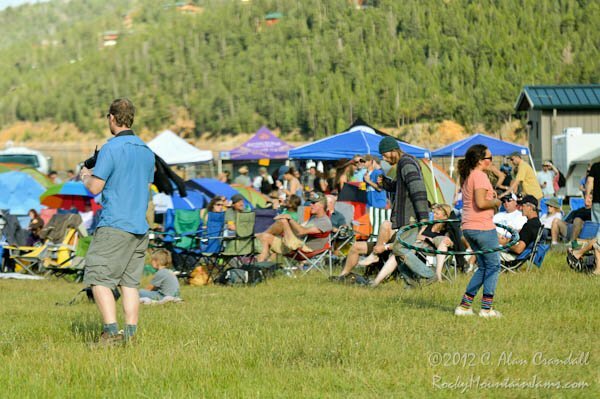 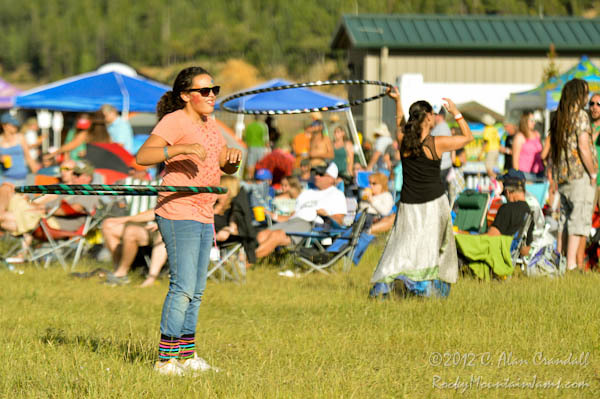 Nestled in the mountains and next to the Barker Meadow reservoir, the festival grounds offer scenic views and mountain fresh air. 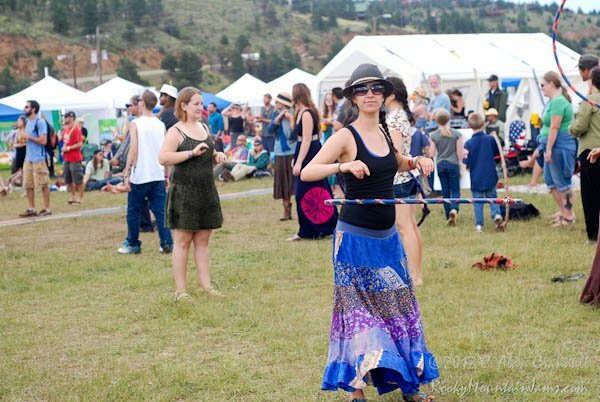 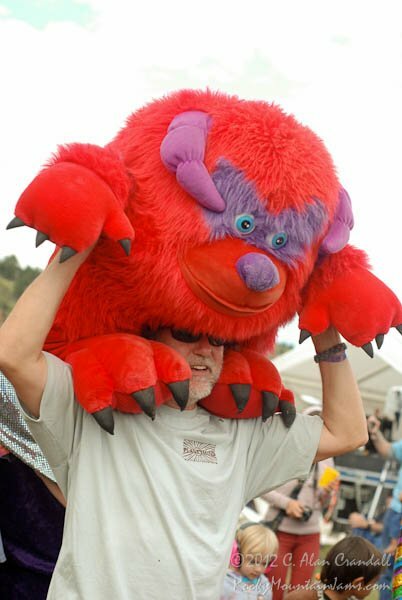 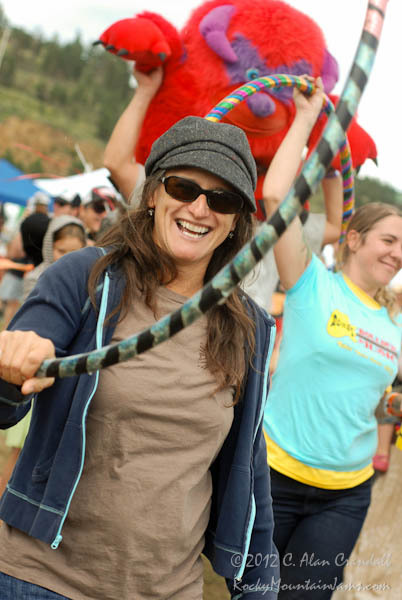 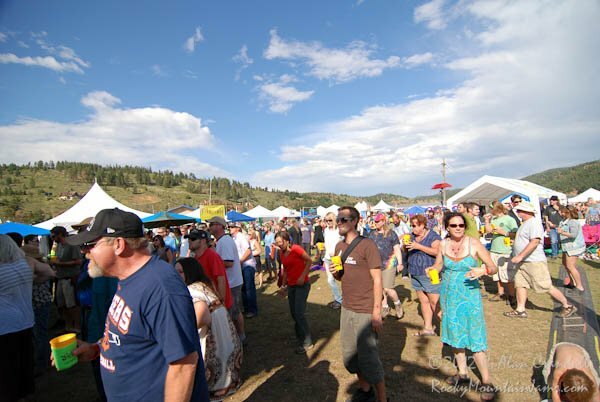 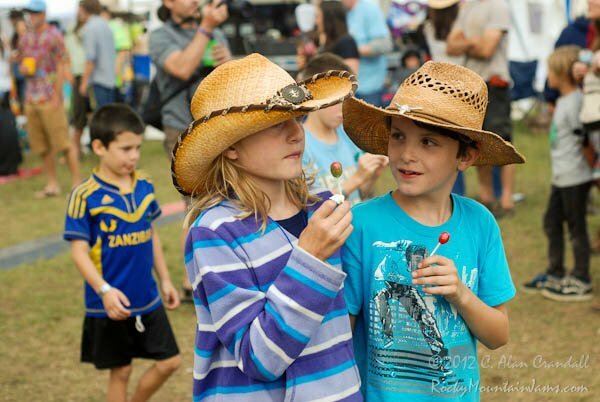 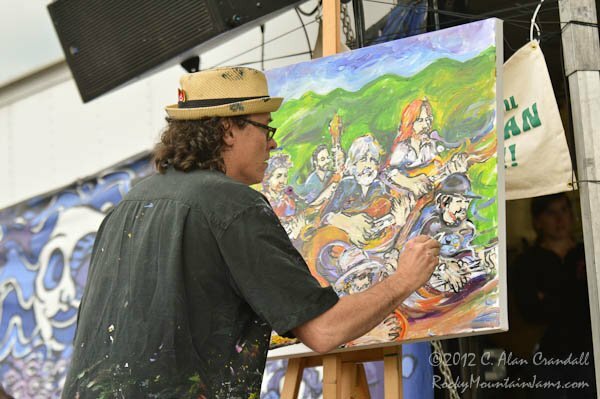 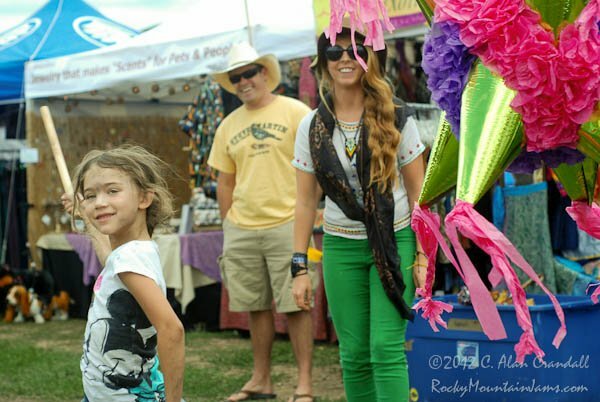 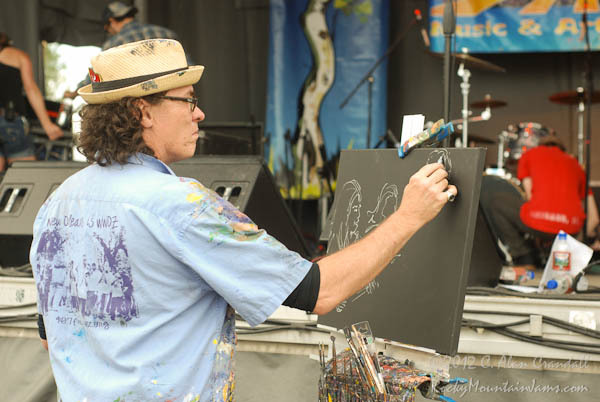 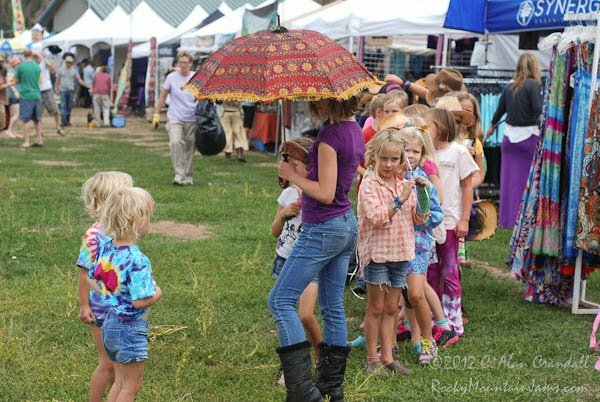 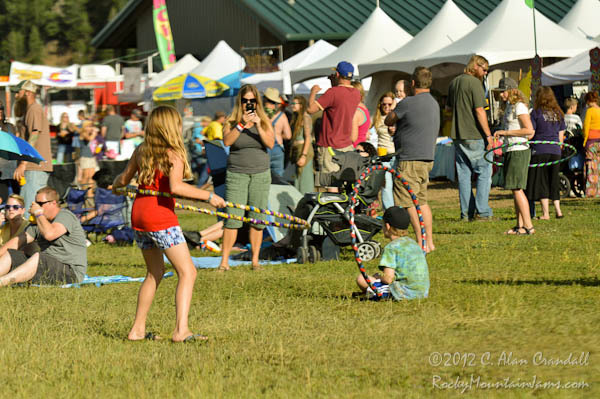 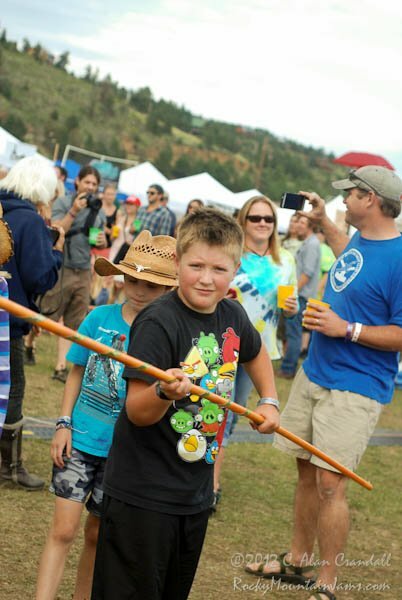 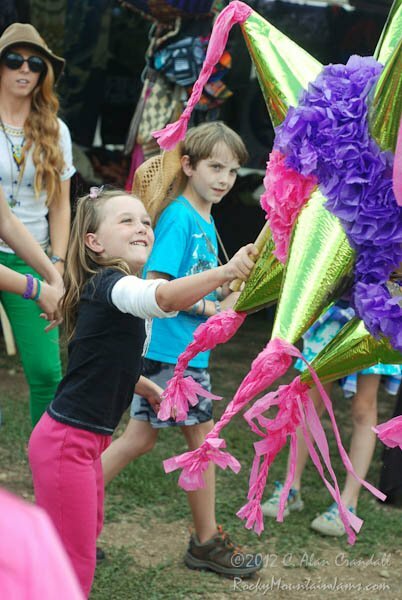 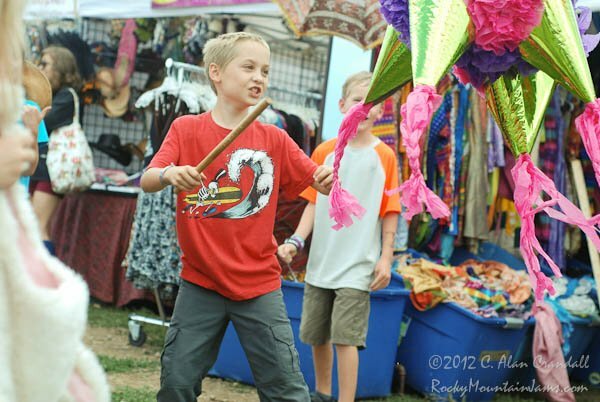 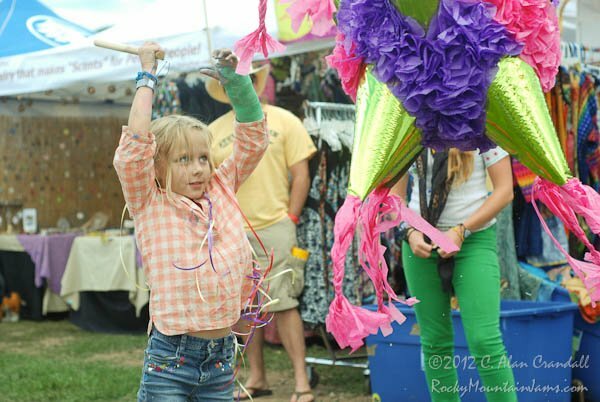 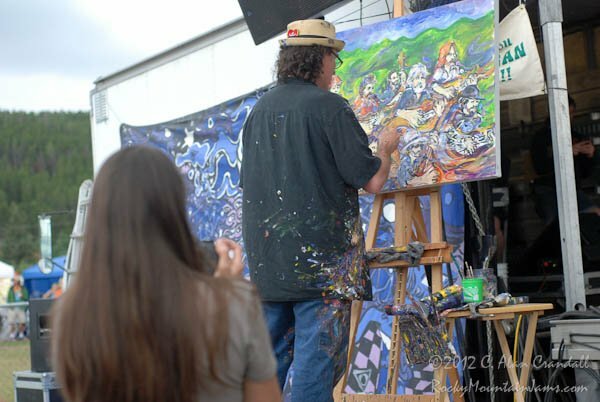 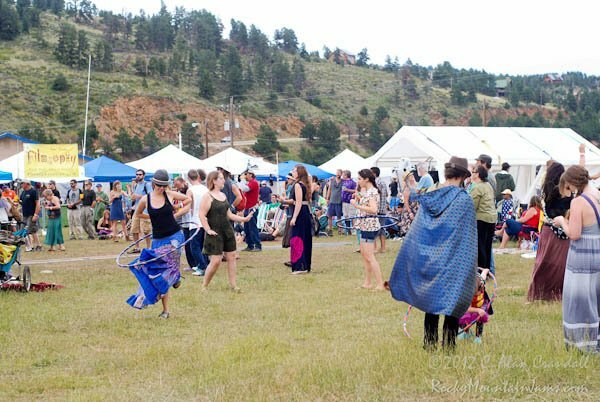 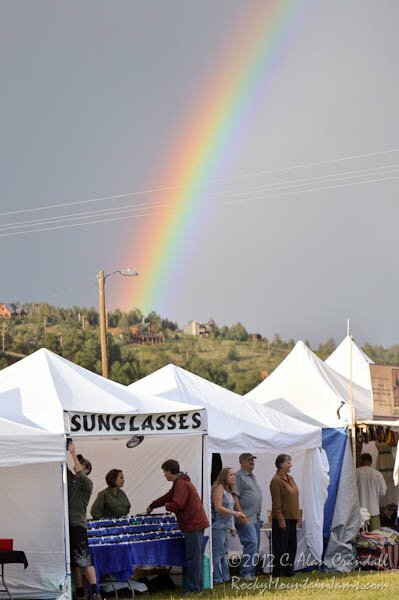 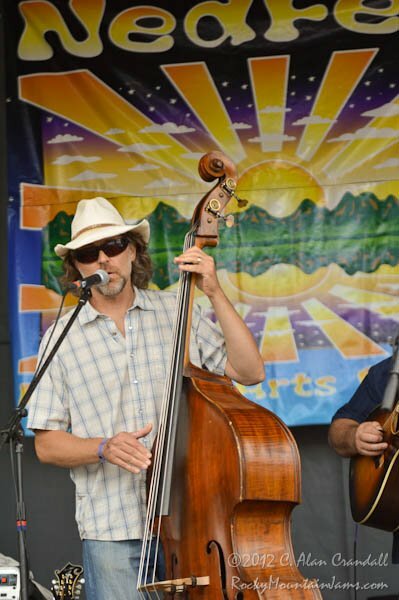 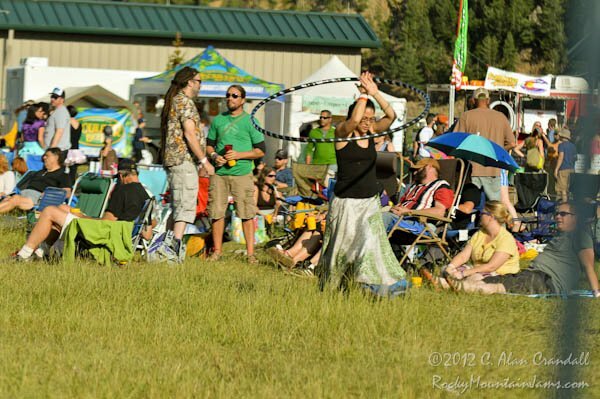 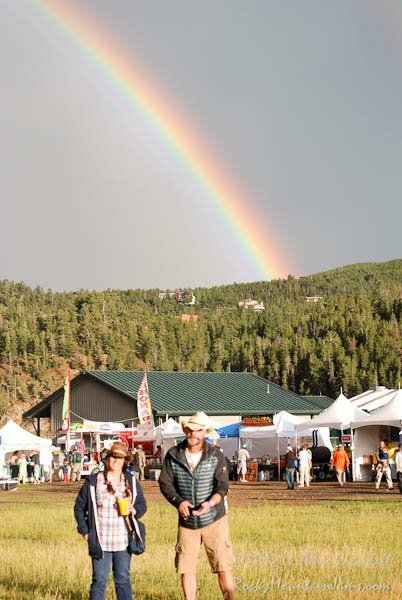 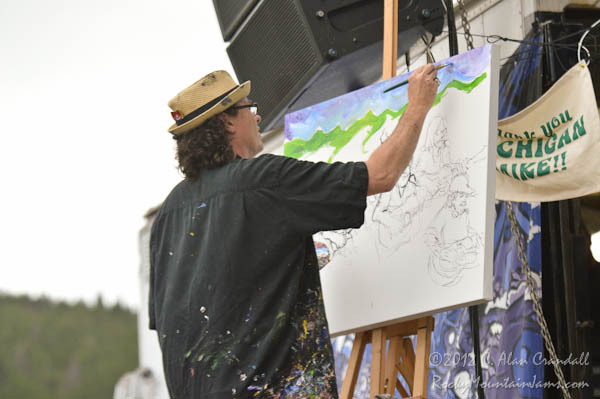 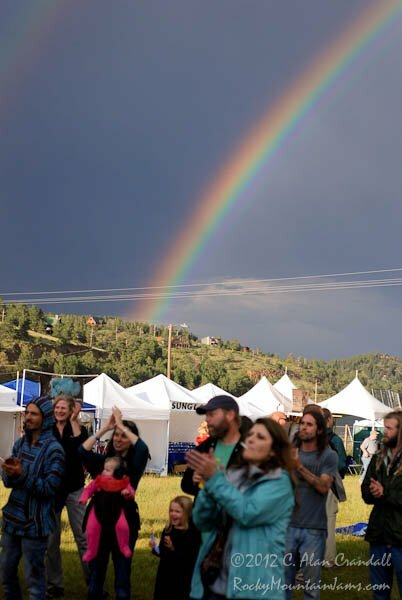 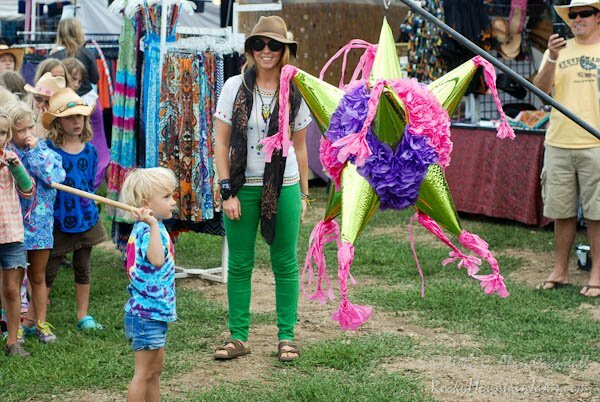 The festival grounds are wrapped by art and food vendors and this year libations will be served up by Boulder Beer, Redstone Meadery, Left Hand Brewing Company and Very Nice Brewing Company. 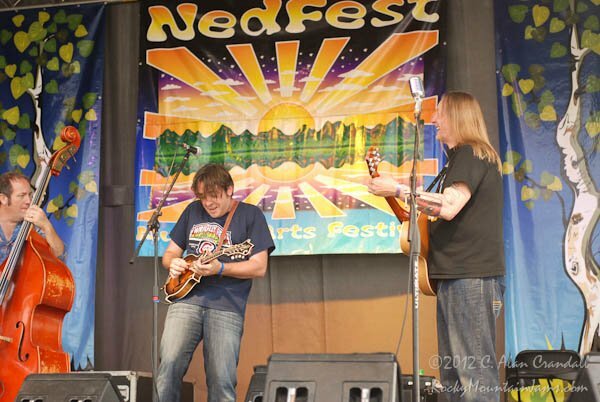 New this year, a NedFest regular tweener, Jaden Carlson will be featured on the main stage. 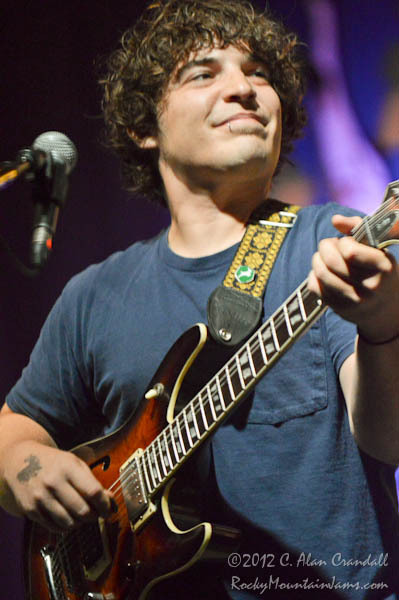 The new Jaden Carlson Band recently headlined the Fox Theatre and put on a very impressive show. 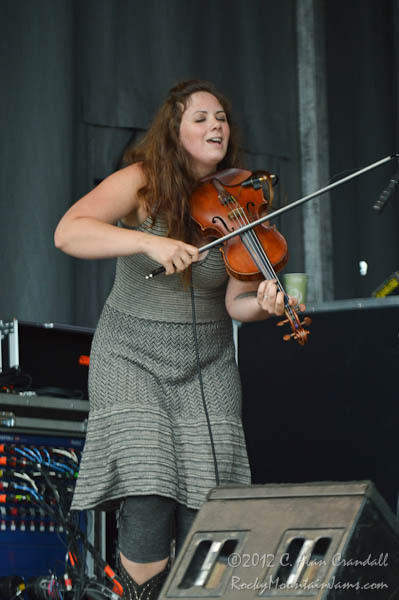 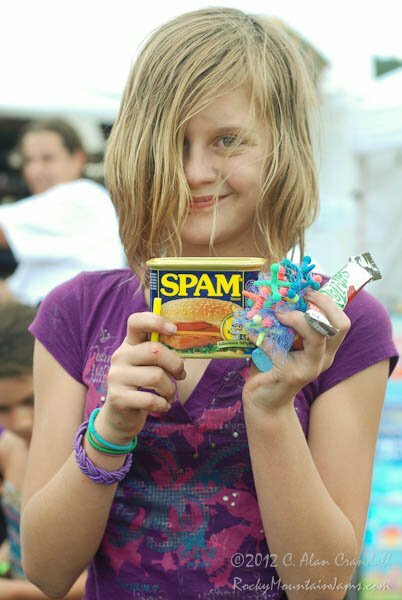 She is a NedFest crowd favorite. 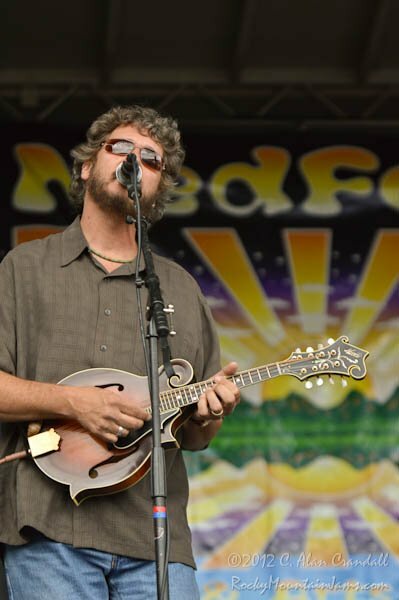 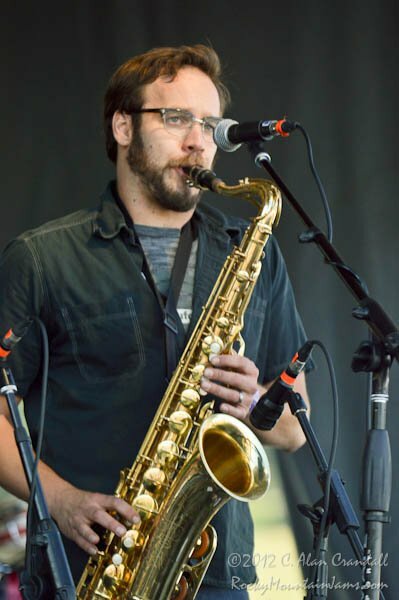 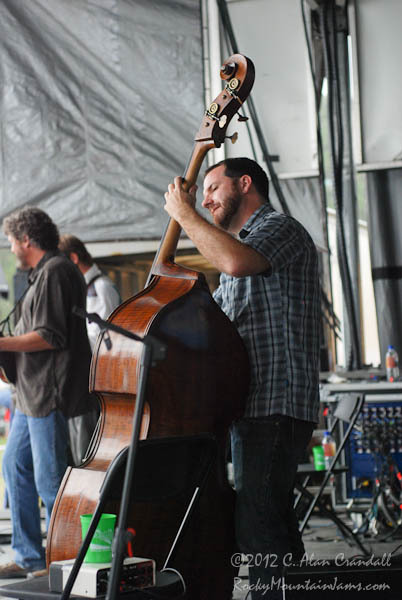 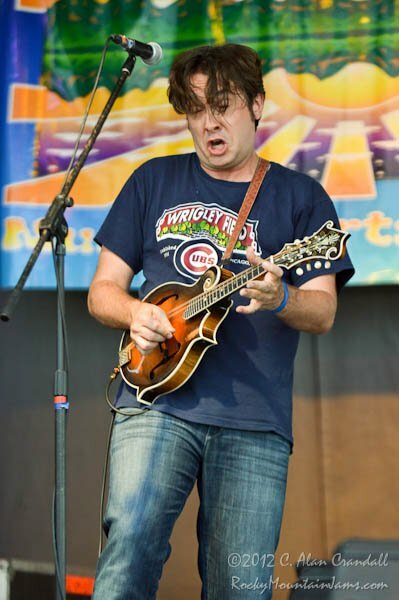 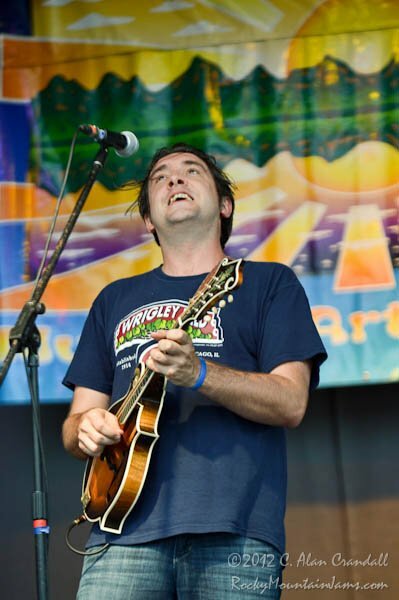 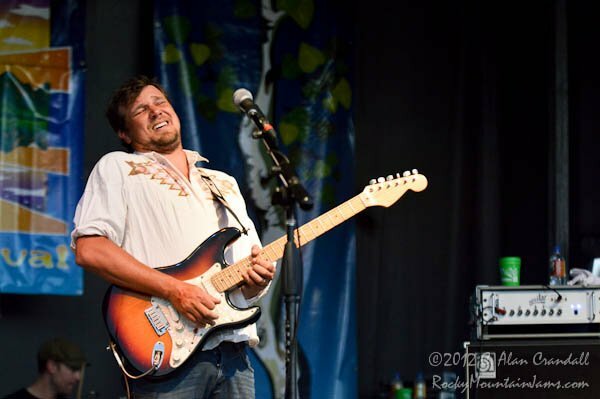 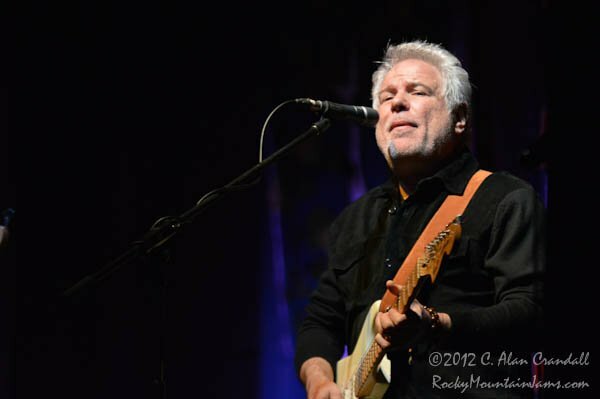 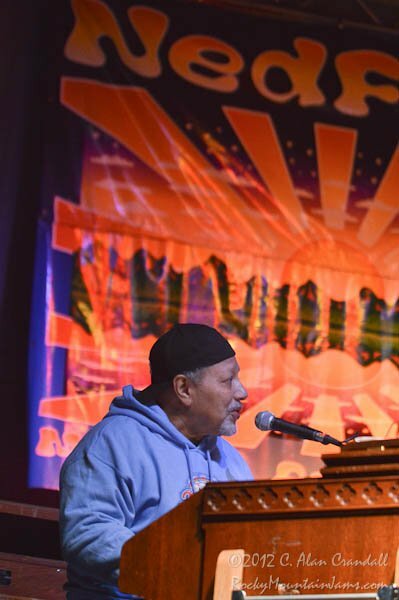 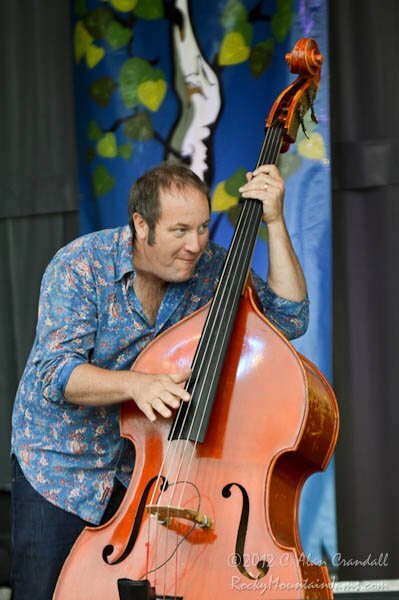 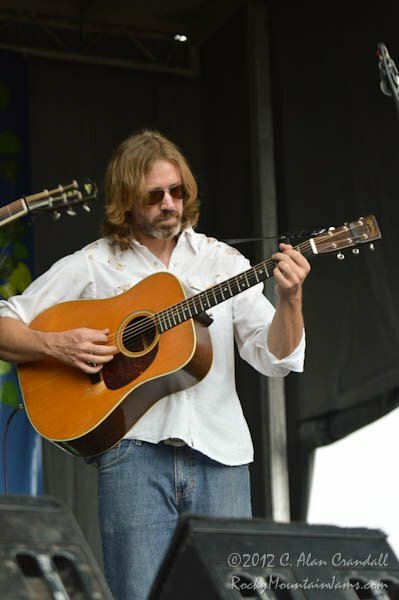 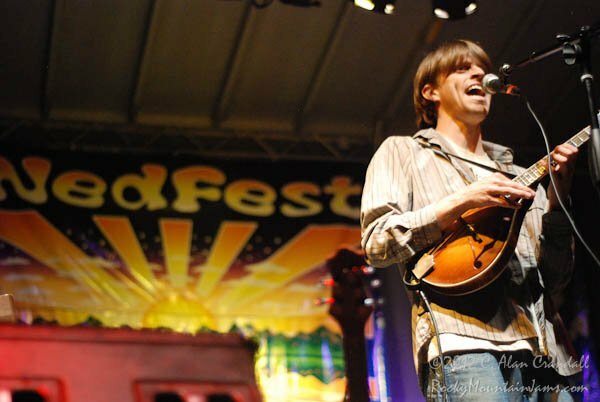 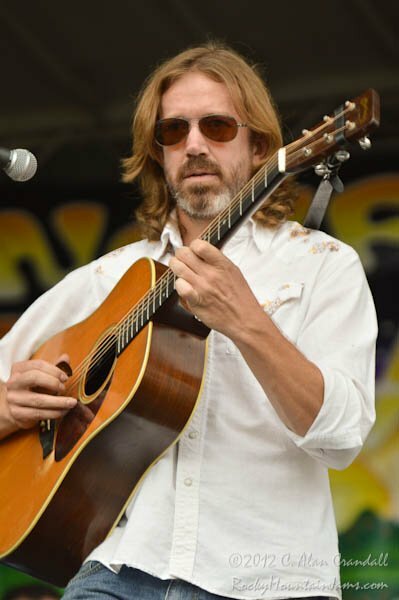 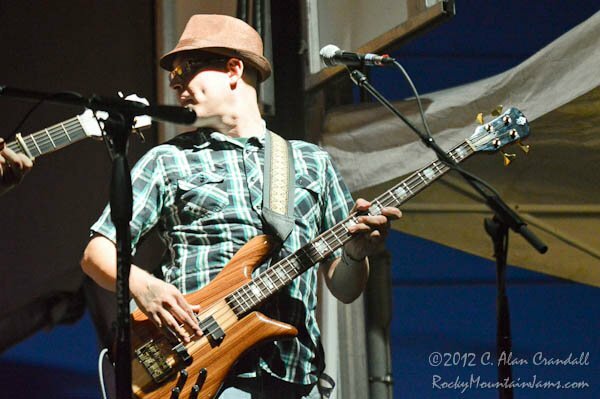 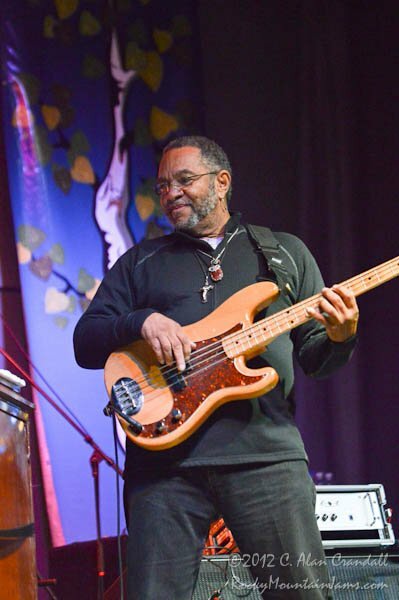 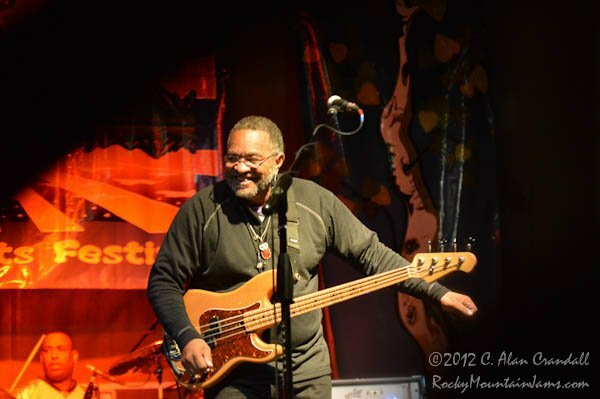 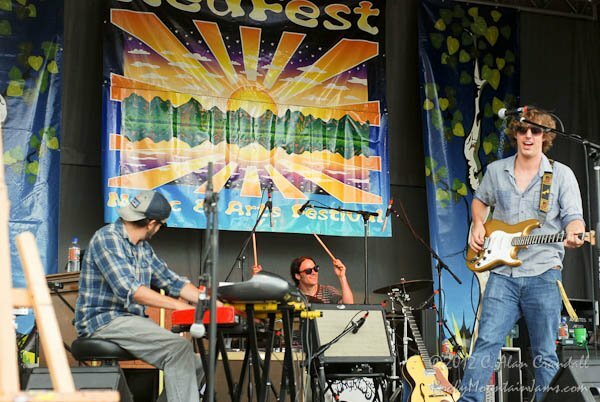 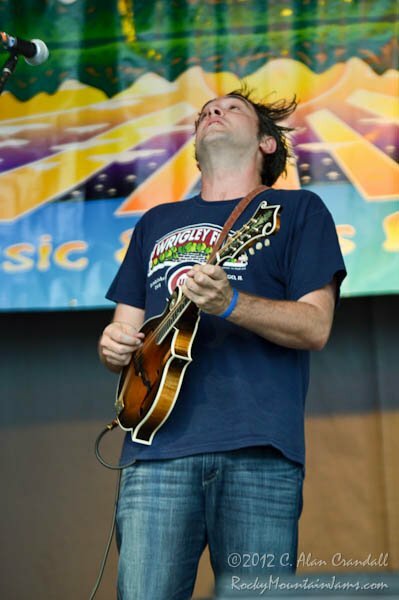 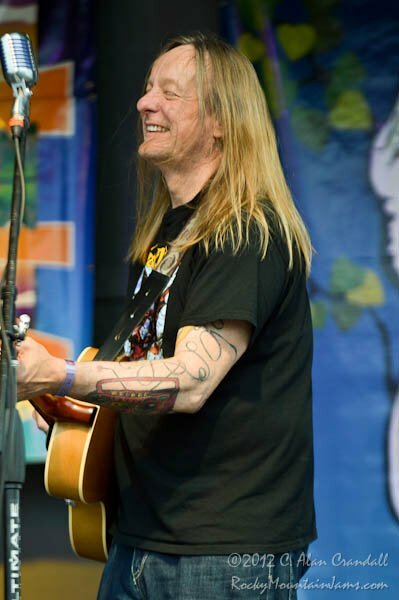 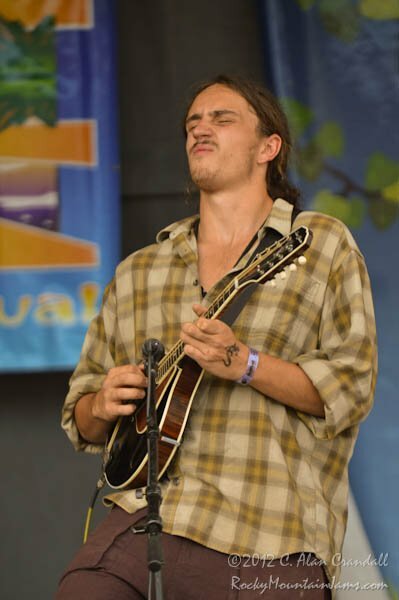 Headlining this year’s festival is Jeff Austin with his new band, Robert Randolph and the Family band and a super group comprised of the New Orleans Suspects joined by Little Feat’s Paul Barrere and Fred Tackett. 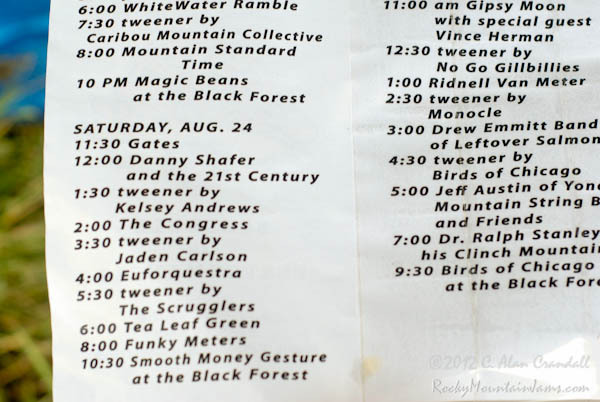 Check out this years schedule of fun. 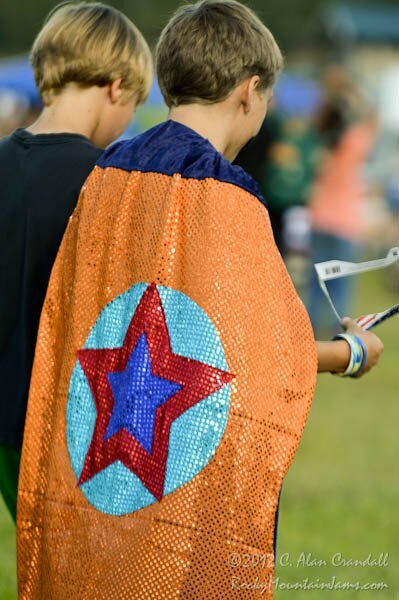 12:00 Special Kid’s Show for Sunday Opener! 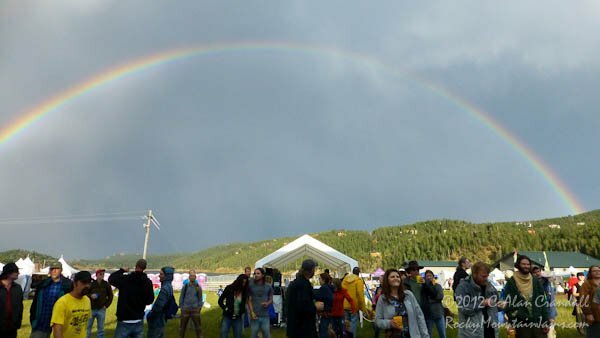 So as you can see this year’s festival has an incredible line up, next to the reservoir, high in the mountains and is loaded with fun. 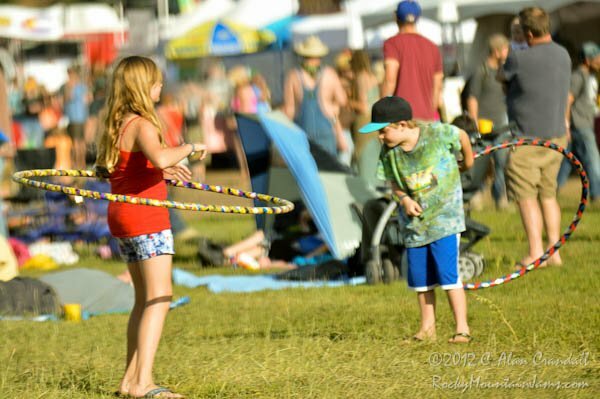 And don’t forget, buying a ticket or paying to camp is helping the non-profit, 100% of proceeds go to local kids’ music education programs. 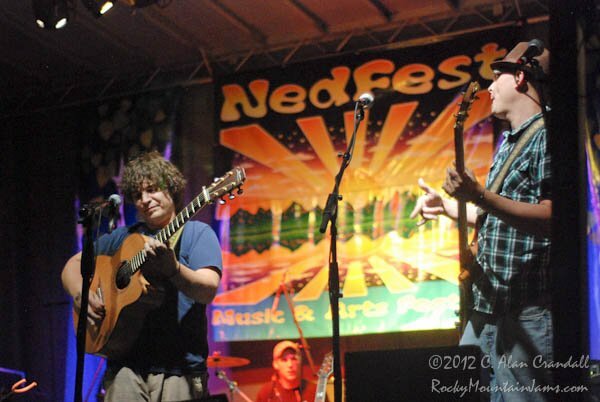 For tickets please visit www.nedfest.org.